Fismuler Barcelona in the Hotel Rec is deservedly one of city’s hottest new restaurants. Fismuler’s Madrid mothership has held a steady orbit in the rarified air of high praise since launching in 2016, transporting diners in the Spanish capital to happiness with fresh, modern, market-based cooking. When it sent a shuttle to land in Catalonia in early 2018, hopes were high. In a way, it’s a return home. The three friends behind Fismuler Barcelona – Nino Redruello, Patxi Zumárraga and Jaime Santianes – first met in Catalonia, while working in Ferran Adrià’s illustrious El Bulli restaurant. They are, however, from different parts of Spain and have spent the intervening 16 years globetrotting via multi-starred kitchens. Their new restaurant occupies a large space on the ground floor of the equally new Hotel Rec, near the Arc de Triomf. Its by-the-numbers contemporary design is exactly as you’d expect: casual, open, vaguely industrial-looking, sort-of Scandinavian feeling, with lots of bare wood, brick, and steel. It nevertheless succeeds in feeling more like an oversized bistro than a hotel eatery. We visited unfashionably early on a Wednesday night in a quiet week before the pre-Christmas rush. Nevertheless, Fismuler was fully booked. A cosmopolitan crowd of tourists, multilingual work and university groups and a smattering of locals filed in, all looking bright-eyes, bushy tailed and upwardly mobile. The Fismuler wine list is short and 100% Spanish, with sensibly priced options including by-the-glass choices starting at around €3. There are infused spirits and original cocktails too, and while I’ve heard good things I didn’t try any. Instead I chose a glass of something white, crisp and local and placed myself in the hands of the kitchen for a menu of suggested dishes. Full disclosure as always: I was an invited guest of the restaurant for this visit. The menu changes daily to incorporate the best and freshest in-season ingredients. The suggested menu, however, always starts with cured beef, pickled radish, sourdough bread and excellent salted butter. It was fine but a little underwhelming; a kick of stronger pickle, capers or mustard would have been welcome. Razor clams on pebbles made more of an impression. Fismuler generally sticks to plain white plates – something I fully approve of – but this slightly showier presentation made sense. The clams were tender and topped with a tangy, homemade kimchi dressing. Translucent, semi-cured carpaccio of gilthead bream, with grapes and almonds, was wonderful, precisely balancing sweetness and saltiness. This is a fixed lodestar dish on Fismuler’s menu, and rightly so. A fine, crepe-like prawn omelette, sprinkled with tomato dust, oozed foamy, eggy goodness. Cuttlefish with a foam of porrusalda (a Basque leek broth), no photo, was followed by an unusual combination of chicken wings, sweet potato and black truffle, which stopped just short of being cloying. A rich and rewarding dish of squid meatballs concluded the savoury courses. This was well balanced and multi-layered, with each bite revealing new flavours. Torrijas were slightly soggy but saved by a good milk ice cream and contrasting bitter, chocolatey crumbs. Fismuler’s best-loved dish is its unconventional cheesecake. And rightly so: it’s magnificent. Looking from some angles more like a ripe wedge of soft cheese than a piece of patisserie, it’s lighter than you’d expect and more delicious than you’d imagine. Idiazabal, gorgonzola and fresh cheese join forces to seduce you in a firm but forceful manner. Don’t argue, just enjoy it. But be warned: one portion is enough for two. Fismuler operates a kind of ‘don’t ask, don’t tell’ policy when it comes to serving its dishes; waiters give the name and nothing else unless the customer explicitly requests further details. I understand the motivation behind this; I too have sat watching good meals cool and curdle while staff intoned endless eulogies to the provenance of every ingredient. But on balance I’m not a fan of Fismuler’s overly minimalist approach. There are interesting things going on in Fismuler’s dishes and a few pithy explanations would help reveal them. The service is, in fact, my biggest criticism of Fismuler. The staff were friendly, welcoming and looked appropriately hipster-handsome – most seemed to have their tattooist on speed-dial and spend their tips on beard-grooming products. But on the evening of our visit, they seemed overwhelmed long before the restaurant was full. At one point I waited almost 15 minutes with an empty wine glass, trying in vain to catch the eye of someone to ask for a refill. If that happens to someone they know is a professional reviewer, it doesn’t bode well for other customers. In terms of cost, expect to spend around €40 per person. Dishes are available in full and half portions, but I’d suggest that full is for sharing only. The servings are generous. Fismuler Barcelona is a wolf in trendy sheep’s clothing. It looks like a score of other pleasant but unremarkable mid-market restaurants here, which in turn look like hundreds of others in other big cities: bare light bulbs, some shared “communal” tables, an open kitchen, you know the drill – an easy-to-enjoy kind of place for tourists and hotel guests. But under this cloak of familiarity hide some serious cooking chops. It doesn’t shout about it – in fact it tries a little too hard to play it cool – but pay attention: Fismuler Barcelona is quietly making well-thought-out, interesting dishes with great attention to detail that even demanding diners will love. 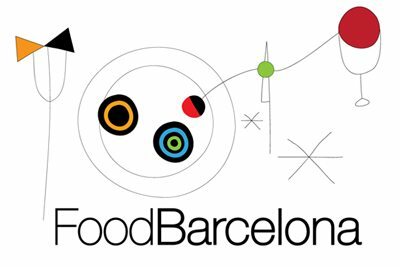 Find Fismuler Barcelona on the FoodBarcelona restaurant map. It all looks delicious – particularly the unconventional cheesecake.